Facebook’s really worried that Pages with mass followings will possibly fall into the hands of a nefarious super villain. 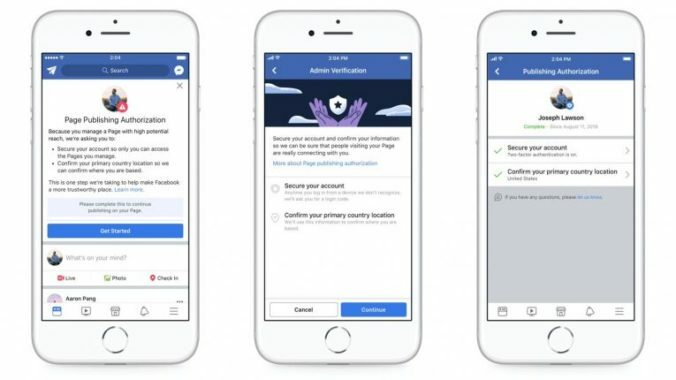 Last week, the social network outlined plans to enforce tighter security for those who admin Facebook Pages with a “large audience”. The company didn’t clarify how many followers or likes constitute a large audience. Users who manage these pages will be forced to complete “an authorization process in order to continue to post”. This includes enabling two-factor authentication, and confirm their location. This is all in a bid to make it more difficult for trolls to gain unauthorized access to popular Pages. “If a Page manager requires authorization, they’ll receive a notice at the top of their News Feed to begin the process. This should only take a few minutes to complete,” Facebook explains on its Business account. Visitors to pages will also notice a few tweaks, with more historical information about the page displayed, and a list of users who manage said Page, similar to a list of mods on Reddit’s sidebar. Notably, Instagram will also be getting similar features as mentioned above. It’s however not clear if large Instagram Business accounts will be forced to undergo a similar authorization trial. The rollout of page authorization is limited to the United States, and will begin this month.